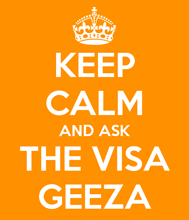 Hong Kong Employment Visa, Unemployed, Still Get Right of Abode? Is it possible to hold an employment visa, not work for your sponsoring employer and travel, live and possibly even work outside of Hong Kong through to the 7 years qualification mark and still qualify for the right of abode? I have a question regarding Hong Kong right of abode (permanent residency). I have been working and living in the HKSAR for >5 years and my current employment visa allows me to stay till mid 2020 (by when I will have been in Hong Kong for almost 8 years). I am planning to do some travels and short term studies around the world in the next year or so, or if any suitable opportunities arise, take on a full-time job somewhere outside of Hong Kong. It won’t be a problem for me to come through Hong Kong every once in a while (say at least once every six months), but I wonder if the status of unemployment (despite an effective work visa) and limited time spent within Hong Kong could break my 7-year qualification for the application for right of abode? What if I keep renting an apartment here – would this count towards ordinary residence? Thanks so much in advance! Appreciate your kind help.